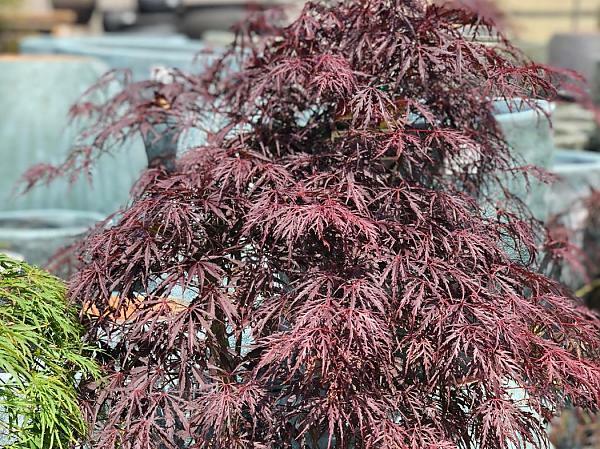 A fabulous red leaf weeping maple. Fine lacy leaves are bright red in spring, dark purple red in summer and crimson red in autumn. A must have, and one of our favourites! Copyright © 2019 Mittagong Garden Centre. All rights reserved.